A group of squatters has moved in to a building in Mothers Square, Lower Clapton. The 15 squatters, who describe themselves as community activists, artists and students, are occupying Maitland House, part of a housing development named after the former Salvation Army hospital for poor and unmarried mothers. 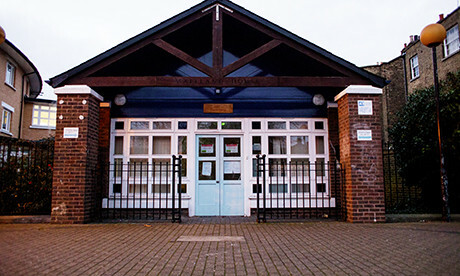 From 2011 to 2013 Maitland House was used as a care home for the elderly and disabled. It was sold on, together with the Grade II listed 7 Maitland Square, for £1.5 million to Trilogy Property Ltd in January last year. The group, who are calling themselves the Mothers Square Squatters, moved into the building on 1 February, and claim it has been lying empty since the care home closed. They say they hope to use the space to host community projects. building’s owners. He said: “You can never really tell how large companies will react to squatters. “We can just do our best to show them the projects we have done in the past and try to ensure them we are responsible”. Mothers Square Squatters say they want to “collaborate with the local community” and will be holding a meeting to discuss how the space should be used. The squatters are holding a public meeting at Maitland House at 7pm on Monday 9 February.